Fourth Course (U.S.A.): Classic Strawberry Shortcake – Topped with fresh whipped cream. Tickets are $60 per person. Each course is paired with wines from around the world. Reservations are required and be sure to tell them WindsorEats sent you. Tecumseh restaurant, Foia Ristorante, is hosting a 5-course vegan dinner for only $40 per person. Doors open at 7:00pm with dinner beginning at 7:30pm. Reservations are required. If there are any allergies please make requests when reserving. They are still finalizing menu but you can look forward to enchiladas, tempeh tacos, chile chocolate mole sauce, guacamole, empanadas, Mexican millet, black bean, chipotle adobo sauce, queso fresco, pico de gallo, churros with chocolate and so much more. Please RSVP at 519.739.9779 and tell them WindsorEats sent you. This tour would definitely be one of Don Draper’s favourites. Have a taste of the beverages that are making Olde Walkerville famous, from the Canadian Club whisky featured in AMC’s award-winning series Mad Men and HBO’s Boardwalk Empire to one of Canada’s largest tequila selections at Walkermole. 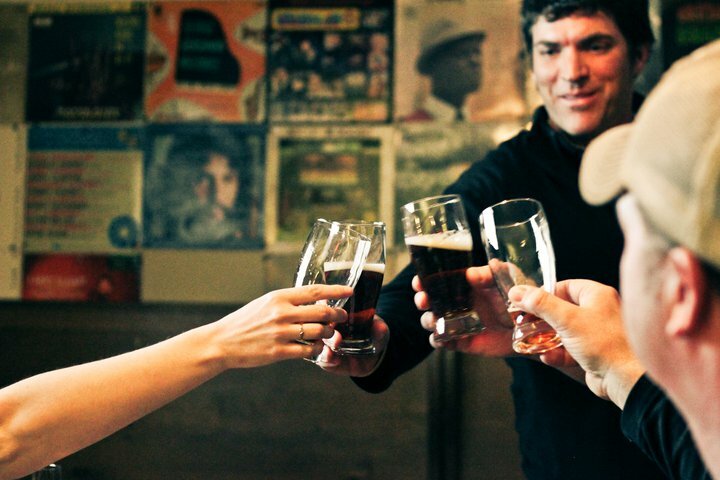 You’ll receive a unique experience you won’t be able to have on your own and you’ll even get to break bread with the Brew Master at Walkerville Brewery. 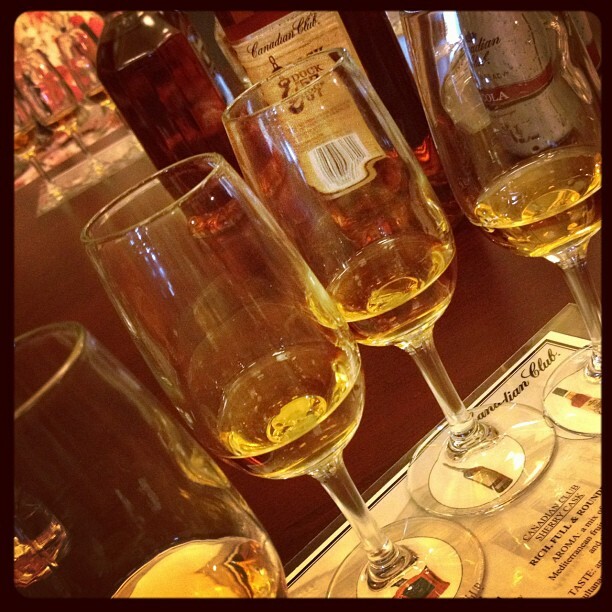 A flight of 3 tequilas and a tour at Walkermole Restaurant. Tickets run $40 per person, are limited and can be purchased by clicking here. 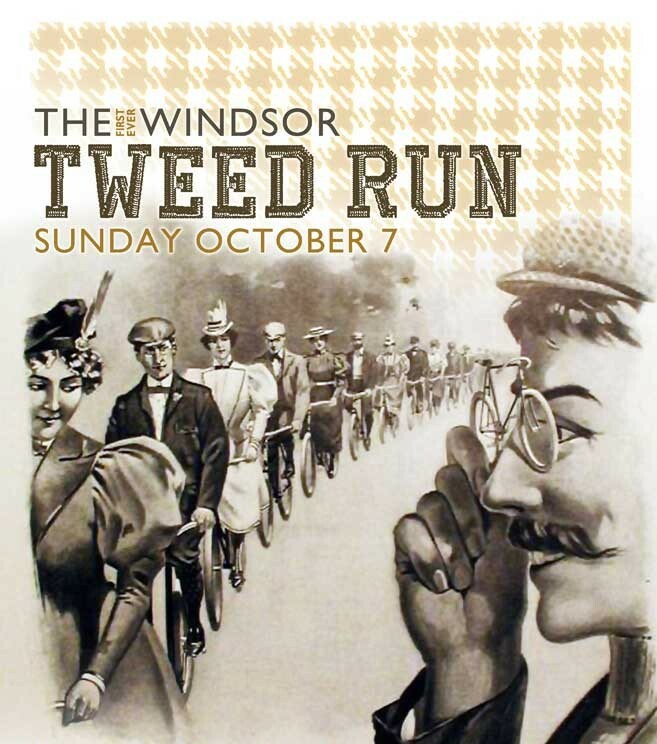 Join WindsorEats on the first ever Windsor Tweed Run: the most stylish group bicycle ride through the city you will ever experience. If you’ve never taken part in a Tweed Run before, here’s the hook: Cyclists are encourage to dress in traditional British cycling attire, particularly tweed. Any bicycle is acceptable, but vintage bicycles are encouraged. Some effort to recreate the spirit of a bygone era is always appreciated. The best part is that this is a free event to participate in. Click here for more details. It’s a holiday! If you’re not up to snuff on cooking a turkey or just don’t feel like making Thanksgiving dinner, fear not! We previously posted about some businesses offering to cater your home meals. However, if you do feel like trying your hand at roasting that big bird (no, not the tall yellow guy from the kids tv show), we recommend you pick up a free range turkey from The Butcher of Kingsville. These turkeys range anywhere from 10-25lbs and are fresh, not frozen. They are also steroid, hormone and antibiotic free! Orders for everything are filling up fast so we recommend ordering yours ASAP. As always, tell them WindsorEats sent you! With the October 13, 2012 ride being the next to last of the season, there are not too many opportunities left this year to find out for yourself why our Wine Trail Ride Cycling Tours were named the best culinary tourism experience in Ontario. We finish off the tour with a locally sourced long table dinner with the freshest in-season ingredients possible. Tickets are $50 per person and can be purchased here. Single and tandem bicycles are also available for rent. Rino’s Kitchen continues his Sunday School Cooking Series with the theme for October 14, 2012 being a ‘Twist on Classic Harvest Dishes’. Classes run from 6:30pm to 8:00pm and cost $35 per person which include a meal. To make your reservation in the class please contact Rino’s Kitchen and tell them WindsorEats sent you. Our last Bikes & Beers Cycling Tour of 2012 is taking place on Saturday, October 20, 2012. See for yourself why this has become one of the most talked about events in Windsor-Essex. Tickets are $60 per person and can be purchased here. Single and tandem bicycles are available for rent. may consist of 4 to 6 members. Call Jack’s now at 519-733-6900 for more details or to register your team and tell them WindsorEats is sending you. Advanced reservations are required. Foia Ristorante will be hosting another fantastic tasting dinner on October 26, 2012, this time with an Italian theme. Tickets for the 5-course dinner will cost $40 per person with an optional wine pairing for an aditional $30. Details of the menu have not been released yet but WindsorEats will provide the information as soon as it is available. Join WindsorEats on our last Wine Trail Ride of the season! To celebrate Halloween, we are encouraging our riders to come dressed in costumes for the cycling tour. The ride will conclude with a locally sourced long table dinner made with the freshest in-season ingredients possible. 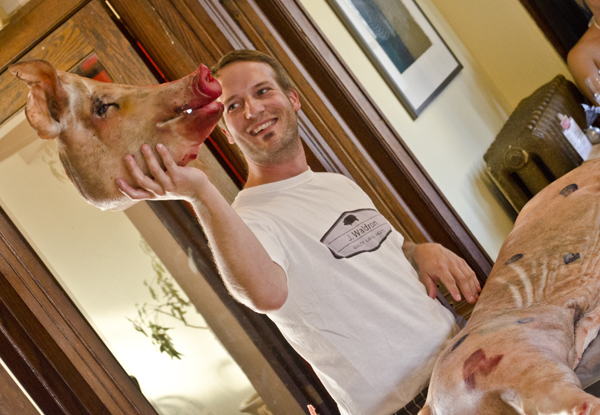 On Saturday, October 27, 2012, at 6:30pm, Rino’s Kitchen invites you to enjoy a 4-course dinner and butcher demo. Butcher Jamie Waldron will be on hand to show you how to break down lamb. The menu will not only be a showcase of what Essex County has to offer but will also highlight the skills and talents of butcher, Jamie. Stay tuned to WindsorEats for more information. Join Rino’s Kitchen for another edition of their Sunday School Cooking Series with the theme for October 28, 2012 being a ‘Halloween Special’. Classes run from 6:30pm to 8:00pm and cost $35 per person which include a meal. Jack’s Beer Club events selling out almost instantly! Jack’s has now once again reserved the last Monday of every month for Beer Club, the first of the season taking place on Monday, October 29, 2012. Various beers are sampled and paired with food tastings. Resident ‘Beer Guru’ Derek guides you through the tasting and adds a wealth of knowledge about the beers, brewing techniques and breweries being explored. Call Jack’s now at 519-733-6900 to secure your spot at the next Beer Club before it’s sold out and be sure to let them know WindsorEats sent you. More details of the event, including cost, will be posted in the coming days. Halloween is a time to get out and have some good times and great food with friends and family. Have a happy and safe Halloween!